After the horrific, recent mass shootings and terror attacks across the globe in public spaces: outside restaurants and bars and others, there has been a rise in concern about the security at hospitality venues. The attacks garner worldwide publicity and comment, part of the strategy behind the perpetrators. 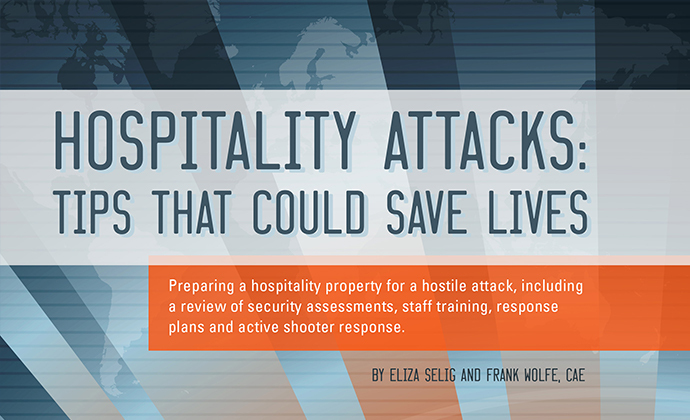 In January 2016, HFTP published a full report “Hospitality Attacks: Tips for Guest Safety and Protection” to offer the industry a guide on preparing their properties for such an unfortunate, but possible eventuality. In light of continued attacks, including the senseless mass shooting in Orlando this past weekend, I present some key points from the report in hope to push your establishment to create a response plan and train staff. 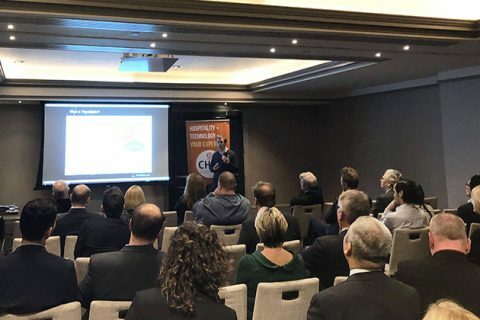 So how does an industry that is required to offer a relaxed, discreet, unobtrusive and unencumbered experience for guests, reconcile those goals with offering guests a secure environment? Understanding that there is potential for danger, hospitality properties need to counter it with preemptive response planning. It is imperative for organizations to implement appropriate security measures, including installing supportive technology to help with monitoring (and potentially post incident response). 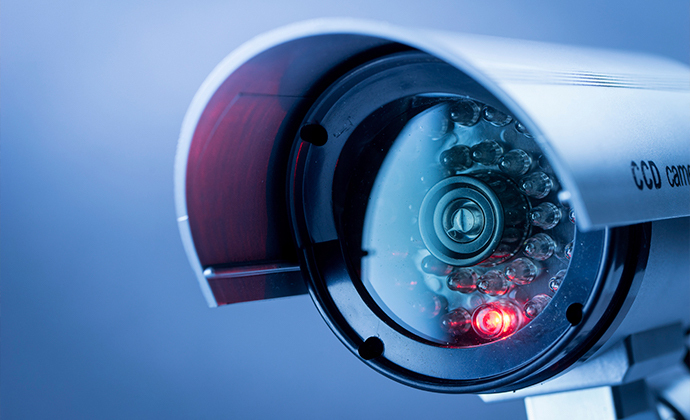 To get started, have a physical security assessment conducted for the particular property. This includes an evaluation of the area’s crime levels and political stability, and whether your security system is sufficient to meet the potential threats for the region. Depending on the results of the assessment, management can determine what kind of resources need to be spent on for security and its support. If you are part of a larger hotel company, reach out to the corporate office to see what kind of assessment program is available to you. Investing in technology can also be a game changer. There are many monitoring products available that vary in cost. These systems use fingerprints, facial recognition, radio frequency identification (RFID) and web interfaces to track movement throughout the enterprise and also to limit access. 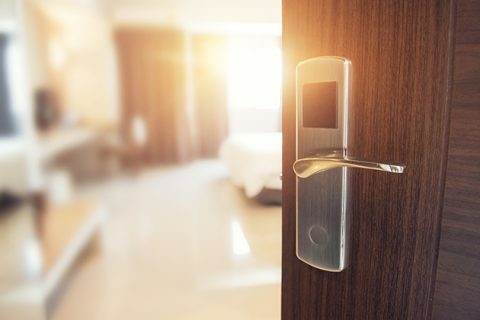 The types of technology, enterprise investment, and (perceived) intrusiveness to your guests will vary depending on the type of hospitality enterprise, geographic location and many other factors. Some hotels in parts of the world have been using airport style scanners, sniffer dogs and private security for many years. Other parts of the world have virtually no security at all. The biggest defense arm in your security plan is your staff. While you don’t want to scare your staff with outlandish scenarios, they do need to be informed of the potential dangers that exist. Educate them on ways a criminal or terrorist could use your facility as a base for illegal activities, how they can help prevent an attack and what their responsibilities are in an emergency scenario. One important step towards prevention is for all staff to know what constitutes suspicious behavior and be observant. Next is to note specialties for each staff member to incorporate into the response plan and to enact response drills on a regular basis (it should not be a one and done practice). A hierarchy chart that details staff responsibilities such as who is authorized to make decisions or serve as a communications liaison to press and via social media. Identification of the primary, secondary and tertiary evacuation points. First Aid Kits that include maps with all exits identified. Staff assignments to the various evacuation points, and documentation of these assignments. This also helps account for staff once the evacuation occurs. Property maps that indicate where the main switches are for utilities, the location of hazardous cleaning chemicals and other important site-related information. These need to be easily accessible to staff, outside security and first-responders. It is imperative that emergency responders can access floor plans away from the property to properly assess a response plan. As mentioned previously, your first line of defense and the most important is your staff. All staff must be trained to react properly in the event of a crisis. Instruct them on the triggers that will set off the crisis plan and their responsibilities once it is in place. Each staff member should be assigned a role to help carry through the response in the best possible manner that is allowed. There have been multiple methods used for attacking public arenas, and in the past decade there has been a shift from bombs to armed assailants. If you were to find your property under attack by gunmen consider the directive distributed by the United States Department of Homeland Security: RUN. HIDE. FIGHT. Before you make your move and determine what your step will be — run, hide or fight — you must first determine where the threat is coming from. The key is not to act blindly, but to know where the danger is. Fortunately, most active shooters are poor marksmen, so it is best to get as much distance as possible from the shooter. Excerpted from “Hospitality Attacks: Tips That Could Save Lives” published by HFTP and available on PineappleSearch.com. Frank Wolfe, CAE, is the CEO of HFTP and an inductee into the International Hospitality Technology Hall of Fame and an HFTP Paragon Award winner. He often speaks on hospitality and travel related issues. He is an author, speaker and an advocate of careers in hospitality technology or finance. E-mail: frank.wolfe@hftp.org Twitter@frankwolfe. Or Facebook: Frank I. Wolfe.